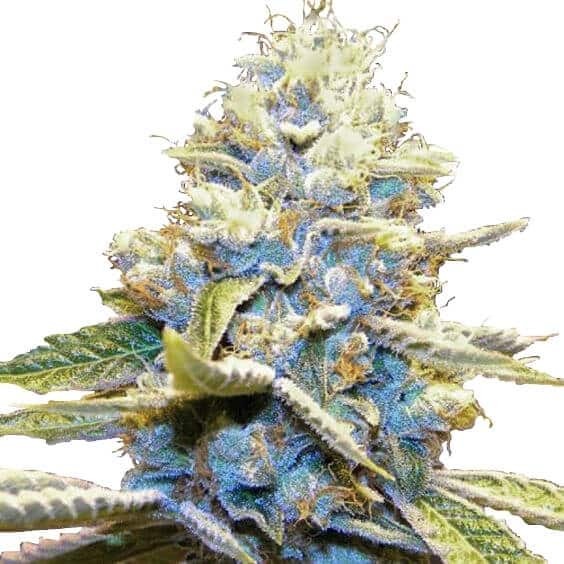 Named after its parentage, top quality Skywalker and OG Kush strains, Skywalker OG is an 80% Indica dominant marijuana plant, producing heavy yields of sticky, resinous buds. Skywalker OG isn’t the easiest marijuana plant to grow, requiring a small amount of knowledge and experience to produce its largest harvests. Grown indoors, plants produce their best yields when super-cropping techniques such as topping, bending and Screen-of-Green growing are utilized. Grown over a complete season, individual plants harvests can be huge, with recorded amounts of up to 28 ounces, while indoor growers average approximately 450 grams per square meter. Complete maturity isn’t as quick as it is with many other Indica dominant strains, requiring between 9 – 11 weeks when grown indoors. Outdoors, the plants require warm temperatures and a gentle Fall, and so are best grown in Southern states, maturing in mid-October. Skywalker OG is a well-known and powerful strain with a wide selection of medical uses. 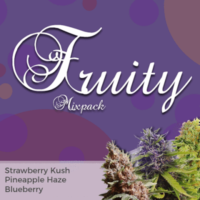 Enjoyed by both medical and recreational users for its dreamy, long-lasting euphoria and relaxing properties. Feminized Skywalker OG seeds are now available through us and are all completely guaranteed to germinate, producing the highest quality female plant. Enjoy free, stealth shipping and all the help and advice you may require to produce your own outstanding harvests both indoors and outside. An Indica dominant Kush with a potent ‘Dark Side’. 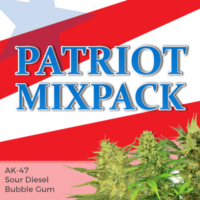 Highly potent and fast-hitting, this strain is one of the strongest forms of Kush marijuana available. Grown outdoors the plants excel, developing multiple colas and budding sites as they develop a bush-like appearance. Average THC levels of over 20% and a low CBD content provide a fast, hard-hitting ‘body-buzz’, and relaxing high.